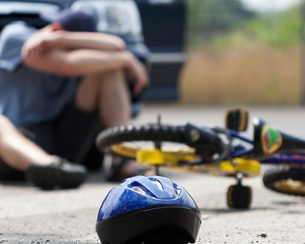 We know that most drivers don’t mean to hit bike riders or cause accidents, but when a negligent driver causes a serious injury to a bicyclist, something must be done. Injured bicyclists and their families must be able to obtain the maximum compensation that they deserve and know that justice has been served. Your best possible outcome and maximized recovery are not going to be achieved through an insurance claim for damages. Not even your own insurance company will work to maximize the value of your claim. Be sure to speak with an experienced attorney before saying another word to any insurance representative. At Carluzzo Rochkind & Smith, P.C., our baseline is the insurance company’s best offer. We increase the value of your case from there. It’s worth more than what the insurance company initially offers 99 percent of the time. Only an experienced lawyer who is not afraid of pursuing the compensation that you deserve through trial can achieve your maximum compensation. Our firm has been fighting for injury victims and their families in Manassas, Prince William, Manassas Park, Gainesville, Haymarket, Woodbridge, Lake Ridge, Dumfries, Bristow, Warrenton, Centreville, Fairfax, Stafford, Chantilly, Leesburg, Ashburn, Sterling, Herndon, Reston, Alexandria, Annandale, Arlington, and throughout Northern Virginia for over 27 years. We’ll advocate for you and handle all legal aspects of your case, including communications with insurance companies and adverse parties. We know how to connect with juries and help them understand your misfortune and plight. Our team personalizes your case from day one, and we collaborate with experts in a variety of fields to establish the full and fair value of your case. Bicyclists have road rights just the same as motorists, and we enforce your legal rights to make up for the horrible damages that you suffered on the road. You have legal options. Don’t settle for an insurance claim. Please schedule a free initial consultation at our firm by calling 703-361-0776. We are also available by email to schedule meetings and answer your questions. We handle all bike accident cases on a contingency fee basis, and we look forward to speaking with you about your unique situation.